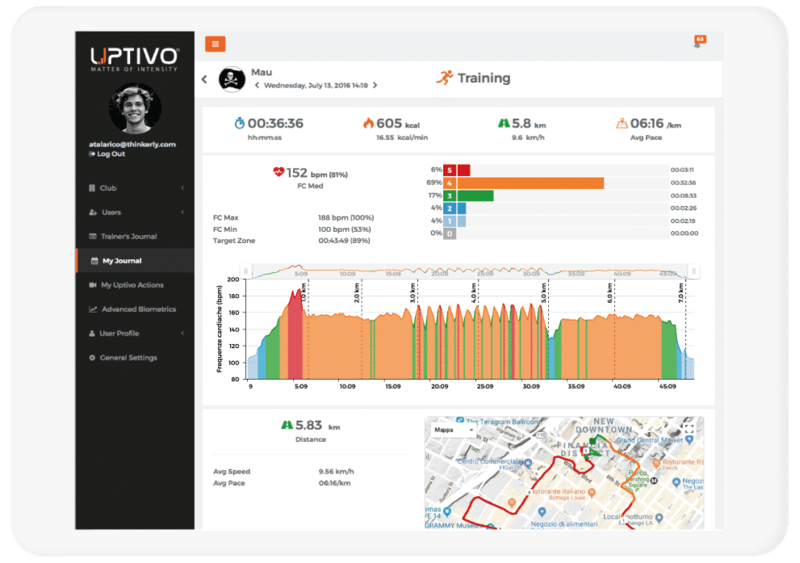 Uptivo Trainer is an app for iPad that relies on heart-rate telemetry to track workouts and make them more professional and engaging than ever. 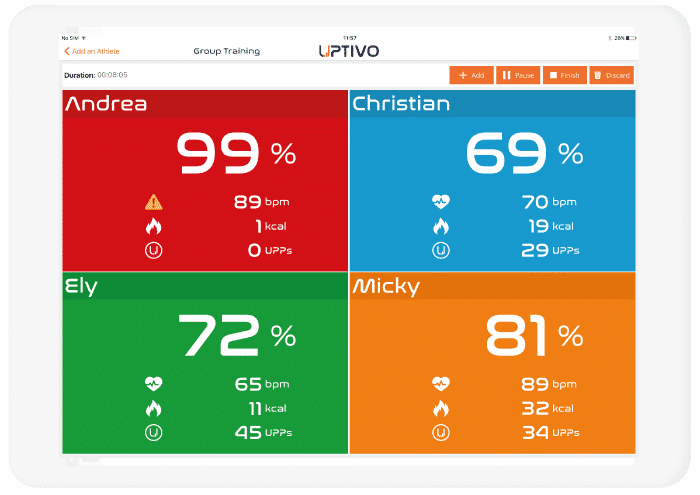 Uptivo helps Personal Trainers in their daily activities. Sign up your members in a few clicks. The app provides intuitive and immediate functionalities for managing club members, and personal clients. It displays an updated list of all club members and allows you to pair Bluetooth Smart heart-rate sensors to their accounts quickly, either via a wireless scan of club’s areas, by leveraging the sensor proximity to the app itself, or – for supported heart-rate sensors – by adding the sensor ID to the user profile manually. Uptivo works with your customers’ personal heart rate sensors such as Polar, Suunto, and more. 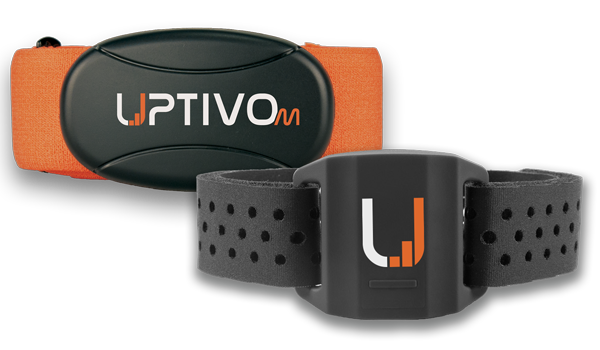 Additionally, you can give them the opportunity to purchase Uptivo Belt or Uptivo Armband, the perfect devices to track heart-rate-based individual and group trainings, at your studio or in the open air. 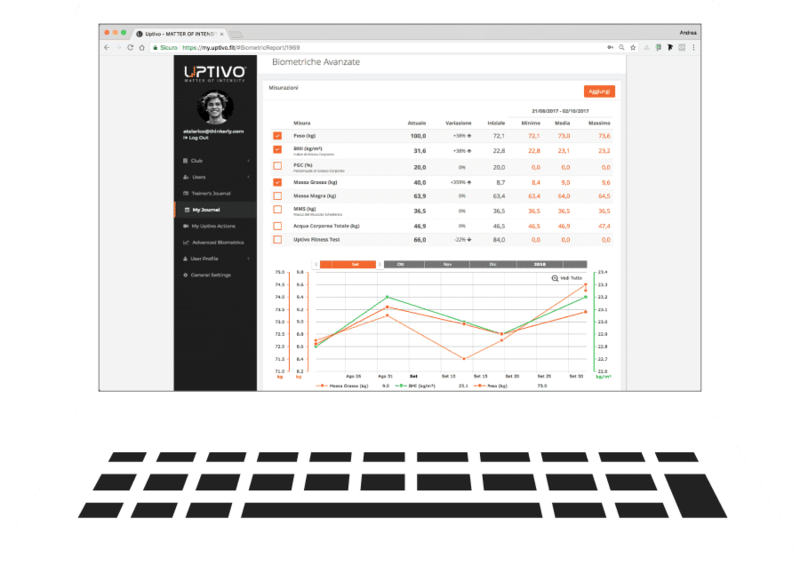 Uptivo Cloud deploys the best tools for a professional and engaging management of your customers’ workouts. You can review each group and individual training, target the workout to members’ age and fitness level, create a cohesive social group with an active community by sharing targets and progress on social media: these are just some of the advantages that Uptivo provides to make your Club an exclusive fitness environment.